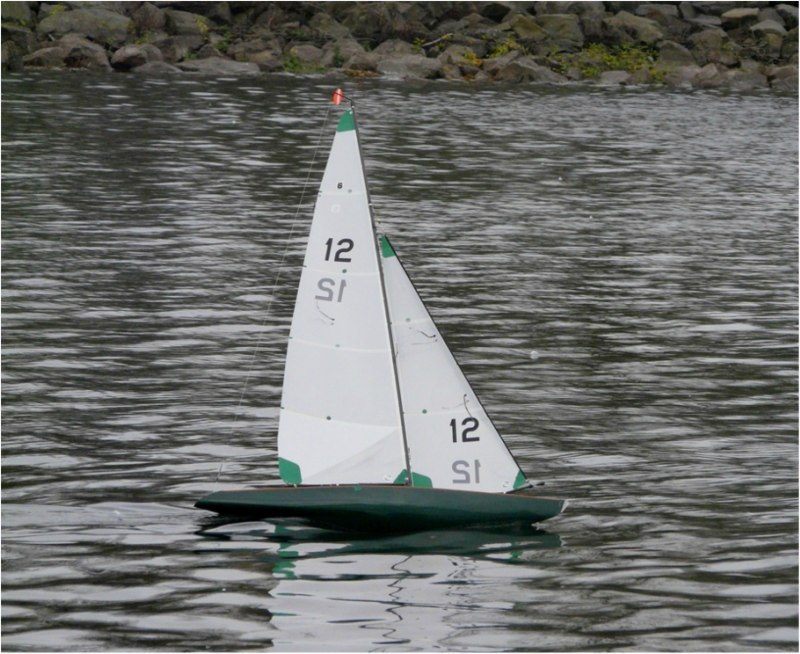 The 'Drisky' yacht was designed and a wooden proto-type built in 2007. This design was the second 6 meter created by John, with the first being 'Optimum' produced in the mid 90's. 'Drisky' featured in the 2007 National Championships finishing second overall. A number of years went by before a plug was made and a small number of 'Drisky' production yachts were built. 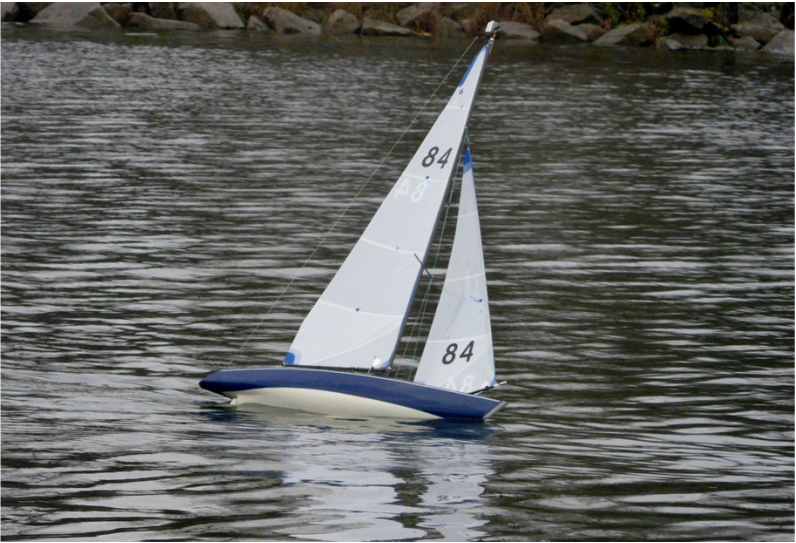 John competed again with his new 'Drisky' yacht in the 2012 Championships, this time finishing 3rd. Since then development of the design has stopped due to the lack of 6 meter competition around the UK and the demand for the yachts in the class. Other projects became the priority. Damian Ackroyd, the builder of the 'Drisky' 6 meter still has the plug and is happy to build 'One Off Drisky' yachts built to deck level only, for skippers who would like to sail something different. A planked Revival belonging to Henry Farley, the hull of this boat was planked in cedar by John Gale many years ago for Ian Taylor who somehow never got around to completing it. He donated it to me to finish some months before he passed away. I completed it and had it measured in 2007. I love sailing it in light winds though it's not so good when it pipes up. The first moulded Rococo belonging to Henry Farley. In 1998 the Scots beat England in the Karachi Cup with a fleet of Ravennas. I was slowly working on a plug for a Rococo in 1999 when I came under pressure to get it and a mould done so that England could have some new boats to compete in the next year's event. I moulded two in epoxy/carbon and they were part of the team that took the Cup that year. Mike Clifton took over the mould and over several years produced about a dozen more. The boat has won the Nationals and Eastern District Championship on a number of occasions, as has it's siblings. Geoff’s boat is a Revival a Bantock design done really for home building in wood, about the same time frame as Renaissance which turned out to be best in a bit of breeze didn't like light winds the Revival was apparently optimised for light winds and as such was quite successful in its day and still can be, Geoff's is a resurrected boat it was originally built by John Daines and was sailed quite successfully by him mostly in local events, Geoff got it as a bare hull from John Simmons via me and has totally rebuilt it to a very high standard. Christina is a carbon fibre Ravenna built in 1998 by Messer's Chisham and Tyson to a Bantock design the original owner being Keith Tyson, sold to Ian Holt in 2003 and to Mike Ewart in 2014, it has been quite extensively campaigned by all its owners up until Ian Holt went to Australia and she was unused for about 5 years, the original design is quite popular and was developed with the help of various people at Paisley and has proved quite a successful racing design in a wide wind range, it is now owned by Mike Ewart MYA six class captain. Drisky, mine is an unproved yacht I am attempting to get it working but as yet not very successfully, she is from the board of John Taylor who has a string of moderately successful designs but I believe this is his only R6M, I think it will work but probably with the tendency is toward stronger winds. Early days for this yet but she does have possibilities the bow bustle and stern lines give her a large sail area for her displacement and the few times she has been sailed in a blow she was electric downwind. 70 is a Rococo planked in cedar in 2009 by Malcolm Burton of the Lee Valley club. 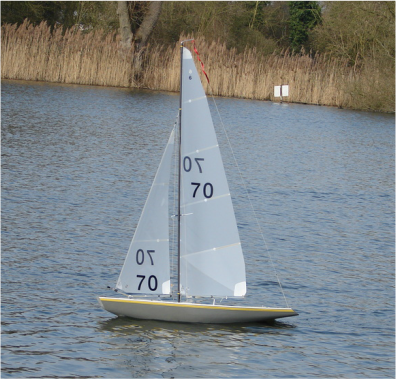 71 is an example of Ian Taylor's attempt in to produce a really lightweight R6M inspired by a club member who struggled when carrying a 12 Kilo boat up stairs to the spare bedroom where he kept it. It was to some extent based on Revival but probably only superficially. Ian produced one in 1996 and from his sketches Geoff Hingley produced some drawings from which he built the one shown in 1998 for his wife. Both were planked in balsa then covered in glass. 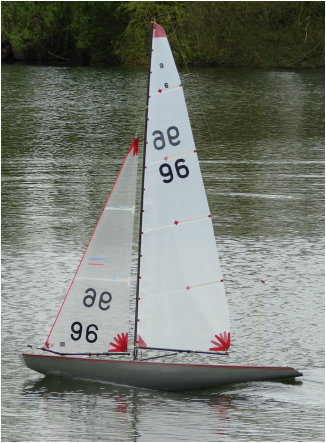 Geoff passed away recently and the boat was donated to the club so will be sailed again by a recent convert to the class.